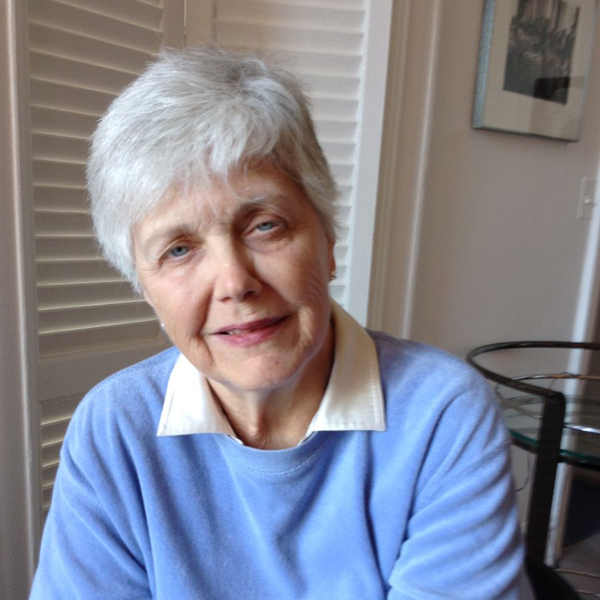 As a student at Wayne State University, Mary Youatt Steinbauer ’57 B.A., ’59 M.A. often read LIFE magazine while dreaming of a career in New York City. With perseverance and the guidance of her professors, she made it. Steinbauer first pursued a political science degree at Wayne State. Then a friend recommended the history department. Rather than choose one field of study, Steinbauer double majored in both history and political science—a decision that unknowingly changed the course of her life. She later earned a master’s degree in history as well. Steinbauer’s favorite memories about the university reflect her ambitious academic pursuits. She was selected to join the Phi Beta Kappa national honor society as a junior—a rare honor. Steinbauer fondly recalls the “wonderful teachers” from her history classes, specifically Alfred Kelly, Bernard Weisberger and Goldwin Smith. But she is sure to add that she gained insight from professors in many departments, including political science, English and French. Like many of her classmates, Steinbauer found it necessary to hold a job while in school. As an undergraduate student, she worked part-time for the Detroit Public Library located at Six Mile and Gratiot. When she had free time, Steinbauer sometimes walked down Woodward Avenue to downtown Detroit. She remembers passing the Vernor’s factory and stopping in Hudson’s department store. After earning a bachelor’s degree with high distinction, Steinbauer began working toward her graduate degree at Wayne State. She would study long hours in the library, and to reward herself she read LIFE magazine. “I surrounded myself with all the old volumes,” she said. In addition to taking classes, Steinbauer worked as a graduate assistant for Professor Alfred Kelly, chairman of the history department. While approaching the end of her academic career, Steinbauer was challenged to pick a specific occupation. Traditionally, history majors went into education, but Steinbauer did not want to teach. Her professors helped her explore other career options, including publishing. Steinbauer started down this path first as a librarian at the Jam Handy Organization in Detroit. A couple years later she moved to New York City in hopes of working on television documentaries. But Steinbauer was hired as a picture researcher for a new Time-Life Books series on American history instead—a job that ultimately defined her career. “My degrees in history and my experience at an audio-visual company led me into the field of historical photography,” said Steinbauer. While at Time-Life Books, she became picture editor of various books as well as the resident authority on historical photography. Often she would hunt for sources of historical pictures and arrange them into photo essays. Her favorite series was This Fabulous Century, a social history of the decades of the 20th century. As picture editor, she shaped the series and the content of the volumes. After 13 years at Time-Life Books, Steinbauer moved to LIFE magazine, the publication she loved to read during her years at Wayne State. My degrees in history and my experience at an audio-visual company led me into the field of historical photography. Steinbauer was originally hired at LIFE magazine as picture editor of the bicentennial issue titled “100 Events that Shaped America.” Her responsibilities grew, and she progressed from an assistant editor to assistant managing editor throughout the next 17 years. She also became editor of the annual year-end issue and semiannual special issues. In the early 1990s, Steinbauer did a press tour for LIFE magazine and received the Headliner Award from the Women of Wayne Alumni Association. The annual award celebrates Wayne State alumnae whose achievements have made headlines in the media. Steinbauer’s favorite magazine issues covered a variety of topics and included “The Bill of Rights,” “World War II,” “Our National Parks,” “The 1980s” and “150 Years of Photography.” A particularly memorable issue on the Constitution won best single-topic issue of the year from the American Society of Magazine Editors. The 50th-anniversary issue of LIFE also was a major accomplishment, breaking records in a number of pages, sales, advertising, and publicity. In that special issue, Steinbauer re-ran some of the stories and pictures she first discovered in Wayne State’s library. In addition to researching historical events, Steinbauer witnessed many in person. “During my 30 years at Time Inc., my Wayne State degree in history led me to the top of the Lincoln Memorial steps during the March on Washington, to inspect the National Archives evidence of President John F. Kennedy’s assassination, and to visit the Oval Office and watch President Reagan take off in his helicopter from the White House lawn,” said Steinbauer. She also saw exclusive marriage photos of the Prince and Princess of Wales and attended a White House Correspondents’ Dinner. Throughout her career, Steinbauer dug through many historical archives, museums, and libraries across the nation, discovering buried collections and records. While working at Time-Life Books, Steinbauer met her husband Douglas, an art director. They moved into an apartment in Greenwich Village and were happily married for 47 years until his death earlier this year. Together, they traveled the world, including the British Isles, India, Machu Picchu, the North Cape and Cambodia. Steinbauer now enjoys retirement in New York City and attends many museum shows, plays, and concerts. She also enjoys visiting family in Detroit, Boston, and California, as well as her three step-children and their five children on the east and west coasts. She gives back to Wayne State when she can because she received a scholarship from the university and believes that support is important for all students. Obtaining a Wayne State scholarship represented a single snapshot in Steinbauer’s own history. However, it sparked a successful and adventurous life-long career.